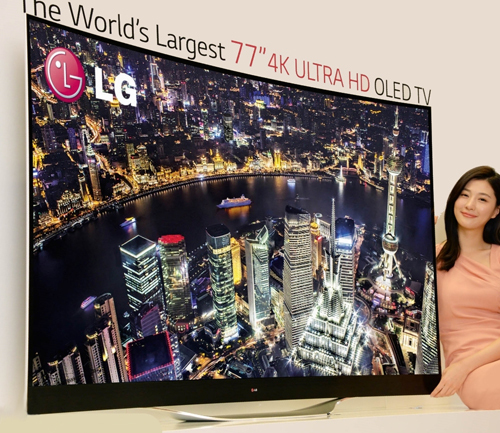 SEOUL, Jan. 2, 2014 — LG Electronics (LG) is proud to present the most comprehensive OLED TV lineup on the planet at the International Consumer Electronics Show (CES) in Las Vegas from January 7-10, 2014. 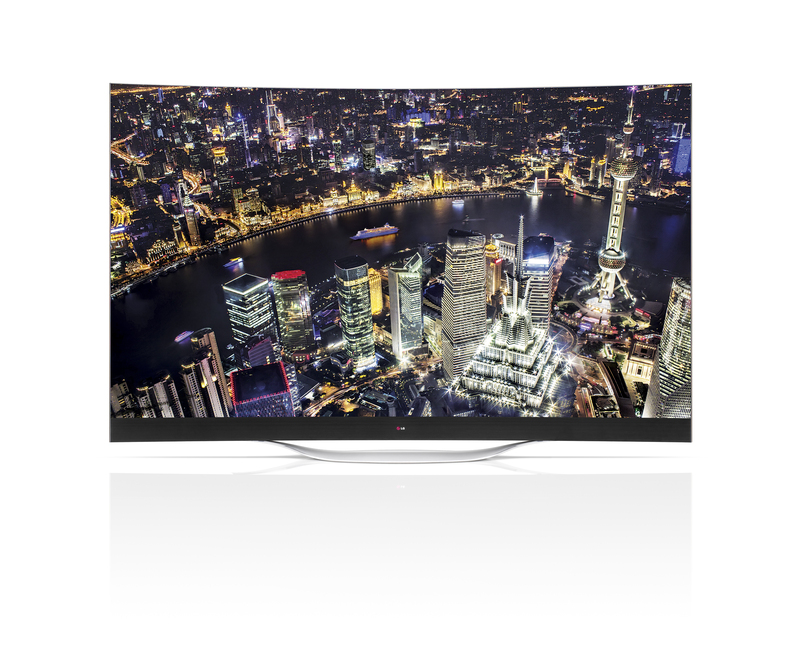 Visitors to the company’s booth at CES will have the opportunity to see the world’s largest ULTRA HD CURVED OLED (model 77EC9800) TV along with the company’s various 55- and 65-inch OLED TV models. Also on display will be the elegant GALLERY OLED TV (model 55EA8800) and the CURVED OLED TV (model 55EB9600) with its friendly environmental footprint. The 55-, 65- and 77-inch ULTRA HD CURVED OLED TVs combine LG’s proprietary WRGB OLED technology and 4K Ultra HD screen resolution (3840 x 2160 pixels) for a whole new level of picture quality and viewer immersion. Filling the viewer’s field of vision with gorgeous, high-contrast images, the 77EC9800’s sensually curved screen is supported by a beautiful leaf-shaped stand. A standout product, the company’s mammoth 77-inch model is the recipient of the highly-prized Best of Innovations at the 2014 CES Innovations Awards. Beautiful to behold, hidden behind the elegant frame of the GALLERY OLED TV is the Canvas Speaker, a powerful 2.2 channel, 100W forward-facing setup that guarantees a superb auditory experience unavailable on any other OLED TV. Honored with a CES 2014 Innovations Award, the artistically inspired EA8800 is the only unit that can make an average living room feel like an actual art gallery. The unit’s unique eGallery feature provides a variety of display modes that can be activated to create a specific mood. For instance, Gallery Mode turns the TV into a picture frame displaying some of the world’s most famous works of art while Healing & Remembering Mode helps to create a warm and inviting atmosphere through mood-lifting sounds and images. 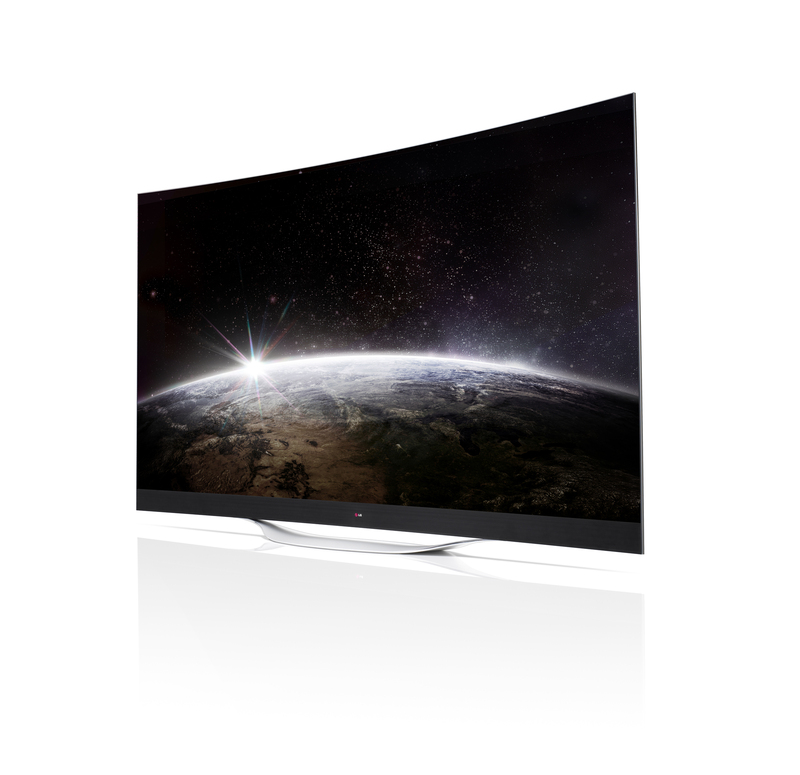 LG’s latest CURVED OLED TV, the 55EB9600, is a highly efficient, environmentally-friendly product. Demonstrating the company’s commitment to responsible manufacturing, the model is made with more recyclable materials and considerably fewer parts than its predecessor. Lightweight and energy conscious, the 55EB9600 has received a CES 2014 Innovations Award for its eco-friendliness and superior build quality. To prepare for the imminent growth in demand for OLED TVs around the world, LG is establishing production bases in a number of countries outside of Korea. The company has already completed the construction of new TV plants in Brazil, Poland, China and Thailand with an advanced facility in Mexico commencing operation this year producing OLED TVs for the North American market. Through the creation of this large-scale global OLED TV production network, LG is building an early lead in the next generation TV technology. With strategic bases serving local and surrounding markets, LG aims to reduce export costs and increase price competitiveness.